That’s right – starting February 1st I’ll do another round of a 45 a day. But I’m going to need your help this time, so if anyone out there wants a day to post your thing = it’s all yours! Email me at sonidofranko@gmail.com if you need more info/help. Anyway, some amazing infusion of Latin music from Colombia’s Los 5 De Oro. Not much was to be found about the group, but it appears that pianist Angel Macias had made a name and career for himself outside of his quintet. Nevertheless, this album is outstanding – and it really holds up to the Fania/Tico sound they were trying to capture. 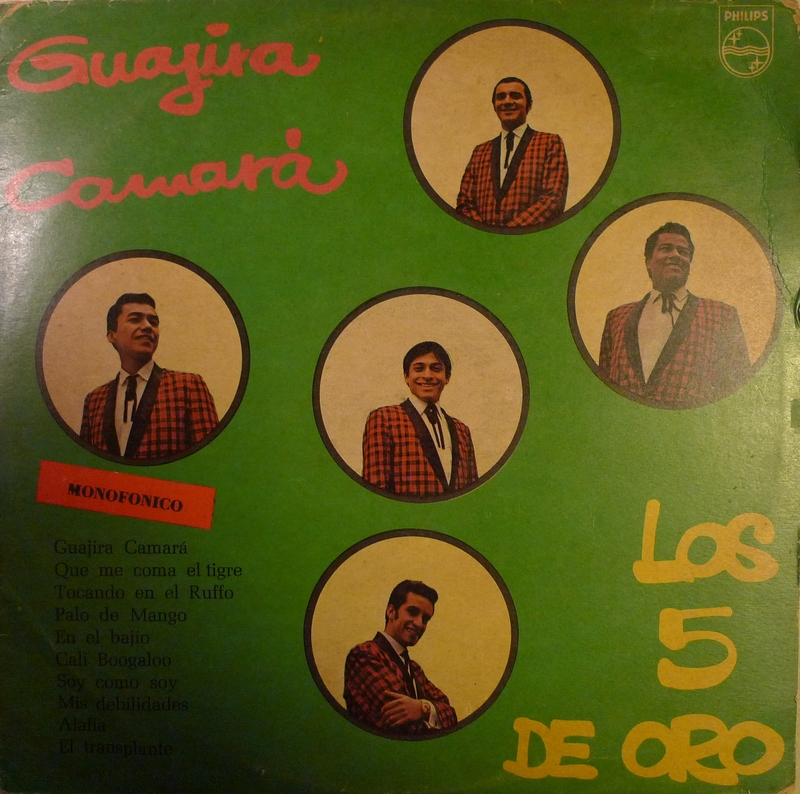 The B side was my favorite, which all the songs posted come from – along with a rendition of Jimmy Sabater’s “Alafia” (Colombians can’t seem to put down the accordion). Strongly recommended album from beginning to end. Enjoy! Del putas! Se pueden descargar? Esa era la música de mis viejos allá en Cali -de donde vengo. Jyeah! One of my favorite SA boogaloo LPs. Their other one is pretty killer as well. Now I need this one!